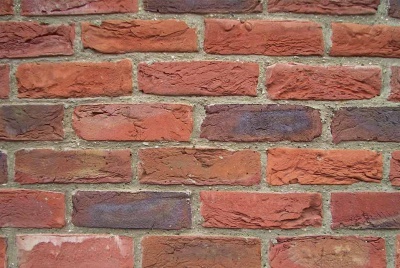 Brick remains the number one walling choice for self-builders throughout England. It is robust, pleasing to the eye and largely maintenance-free. However, brick is not without its quirks, and getting the best from your brick – and your bricklayers – involves a little planning and knowledge. There is no shortage of places you can buy bricks from — and the quality of what you buy varies enormously. 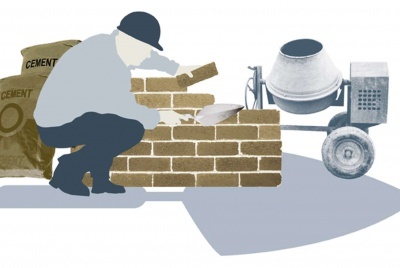 The cheapest bricks are known as ‘commons’ (under £200/1,000) and are rarely used for face work. 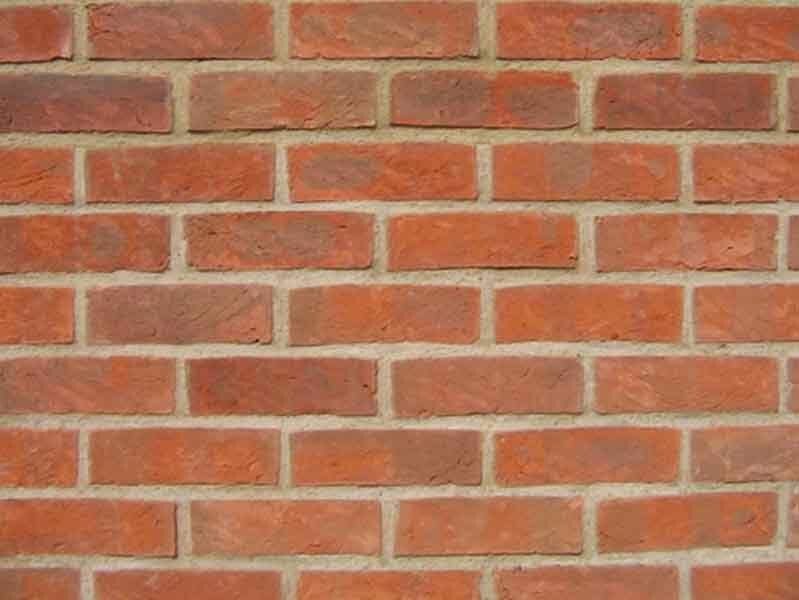 Wire-cut facing bricks (between £250/1,000 and £400/1,000) are widely used on commercial sites, whilst at the top of the range come the visually distinctive handmades (upwards of £600/1,000). Many self-builders look for a machine-made brick which simulates much of the character of a handmade, at around half the price. The planners often have an input on your brick choice, sometimes insisting on a local brick. It may be possible to use reclaimed bricks for this purpose, so it’s worth checking the stock at nearby reclamation yards. How many to order? The standard method is to calculate the square metreage (facing), and to multiply this by 60 — the number of bricks in a square metre of stretcher-bond work. It is normal to overorder on bricks by around 5%, as there is a certain amount of brick cutting involved, especially at joinery openings. It is also quite likely that a number of bricks will get damaged or broken in transit and as they are moved around your site. 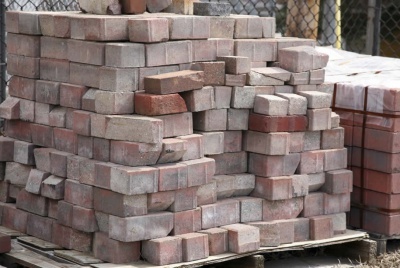 Bricks are made in batches and the look of each batch can vary. So you really want to avoid running out of bricks, as not only will you have to pay a much higher price to obtain the relatively small numbers needed to fulfil your order, but you risk having to buy bricks from a different-looking batch. Once on site, the bricks from each pack should be mixed by the labourer, again to avoid any ‘colour banding’. Brickies tend to work in small gangs, typically in threes (two bricklayers plus a labourer, known as two-and-one gangs). The quality they produce varies enormously, and this will be reflected in their output. 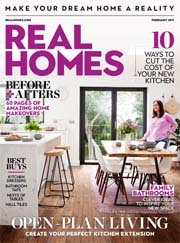 If they have been working on large housebuilding sites, they will have become very fast at laying repetitive stretcher-bond work, but may struggle with more intricate jobs, like chimneys. So do check this out — ask what projects they have been working on and what their experience is. Big-site bricklayers tend to work on measured rates, which vary across the country and with economic conditions. Typically, rates at the moment are between £300-£360/1,000 bricks laid. 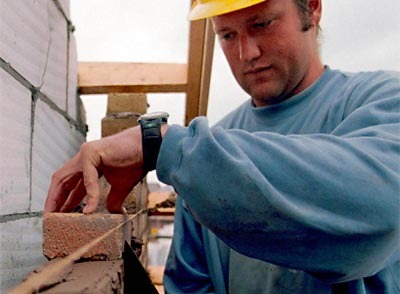 If your work involves intricate details, or something other than stretcher bond, you might do better to hire on day rate: here expect to pay around £150 a day for a brickie and £80-£100 for a labourer. 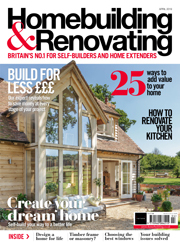 Bear in mind their work involves much more than just bricklaying: blockwork, installing insulation, wall ties and damp-proof courses, and building in joinery. 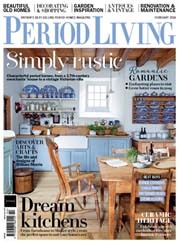 Once you know how to do it, you’ll see that bricklaying isn’t a highly skilled task — but it is quite labour intensive. If you don’t have anyone to show you how it’s done, your best bet would be to take a course. Colleges and local authority adult education departments offer parttime courses, running over terms. Alternatively, a number of specialist companies offer short intensive courses. Try bricklayingcourses.co.uk. The mortar beds make up anywhere between 15% and 20% of the surface area of the brickwork, so the mortar you choose is also vitally important. The current fashion is for very pale mortars, aping the lime mortars that the Victorians used. One way to get this is to use a pure lime mortar instead of cement, but lime mortars are expensive and not as easy to use as cement. An alternative approach is to use white cement, which gives a similar look to lime. You can specify coloured mortars for architectural effect — a good source of information on this is the Mortar Industry Association (mortar.org.uk). Whatever mortar style you end up using, it is important to keep it consistent throughout the job, otherwise you will end up with unsightly banding. Once you have decided on a mortar mix, you must stick to it: that means using the same sand, cement and lime throughout the job. The look of brickwork is greatly affected by the pattern the bricks are laid in, known as ‘bonding’. The long face of the brick is called the ‘stretcher’ and the short face the ‘header’; the arrangement of headers and stretchers normally follows a prescribed pattern. Before the advent of cavities, walls had to be invariably two and sometimes three bricks’ wide, and bricks were laid in certain bonds for the sake of stability. The two commonest were the Flemish bond – which alternates headers and stretchers in every row – and the English bond, alternating a header row with a stretcher row (SEE BELOW MIDDLE). In contrast, single-skin cavity work relies on wall ties connecting it across the cavity for stability, so you don’t require headers. The bulk of modern brickwork is therefore done in simple ‘stretcher’ bond – although this must be a cavity wall – but some people will choose the look of a traditional bond, especially when trying to recreate a period style. 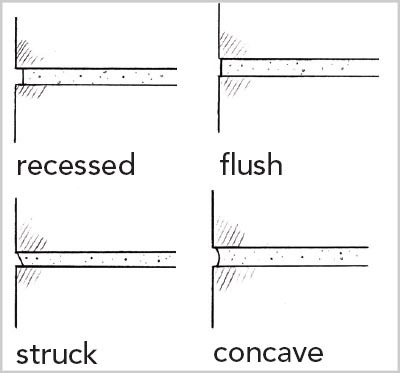 If it’s cavity work, the headers will be broken in half: a process bricklayers refer to as using ‘snapped headers’. ABOVE: (LEFT) Dentil Alternating projecting ‘headers’ with half bricks (bats) can create a corbelled eaves detail or decorative banding. (RIGHT) Dogs-tooth A projecting course of bricks laid at 45°, cropped at the cavity, can again be used to create corbelled eaves detail or decorative banding. How a brick is laid makes a difference to both the appearance of the brickwork and the depth – and therefore strength – of the wall. i.e. ‘stretchers’ create a wall one brick thick, while ‘headers’ provide double thickness. “Calculating the cost of bricks is very much dependent upon the size and style of the project. 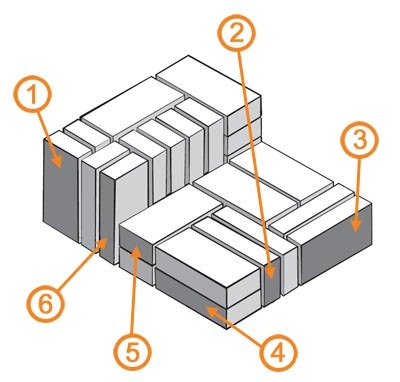 As a general rule there are 60 standard-format (65mm) bricks per square metre (m²) of wall, but you will also need to consider whether you require a double skin to provide cavity walling, and what sort of foundations are required, before you can make an accurate assessment. “The other major variable will be the style of brick. Clay brick is hugely versatile and manufacturers offer an incredible variety of colours, styles, textures, sizes and shapes, in a wide range of price brackets. Cheaper options can range anywhere between £7-12/m², with genuine handmade bricks costing £50-60/m². Some brick companies operate a process called ‘registration’, which means that in general only once you’ve registered with a merchant can you get prices. 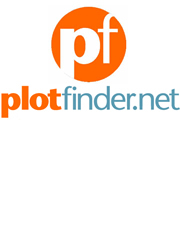 As a result, we have discarded most price information as it is variable depending on individual circumstances.